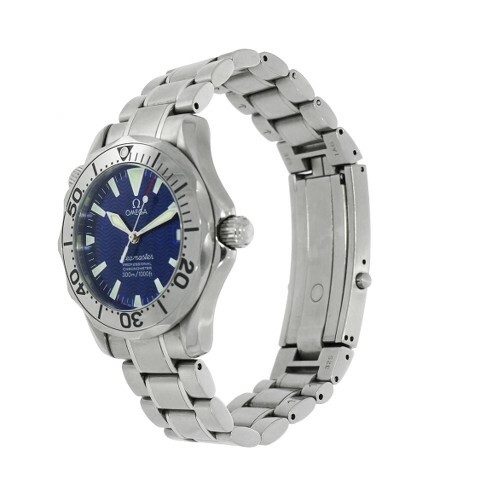 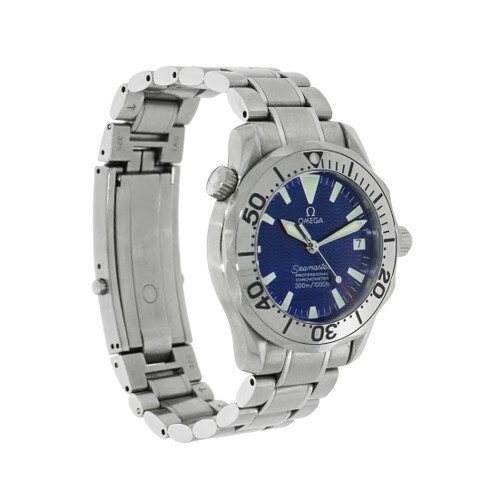 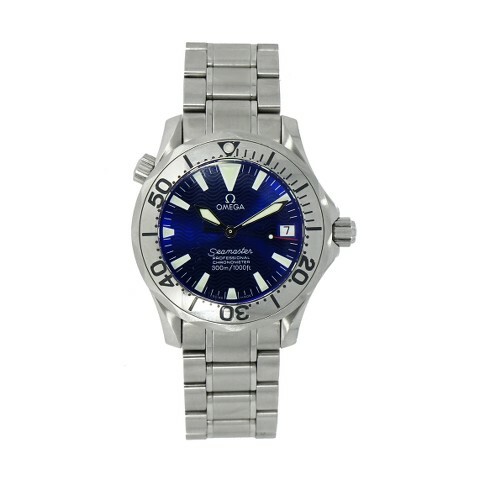 Pre-owned good Omega Seamaster 300M Chronometer, 36mm stainless steel case, automatic movement, Blue dial, date at 3 o'clock, domed anti-reflective, scratch resistant sapphire crystal, water resistant 300 meters, 44 hours of power reserve, stainless steel bracelet. 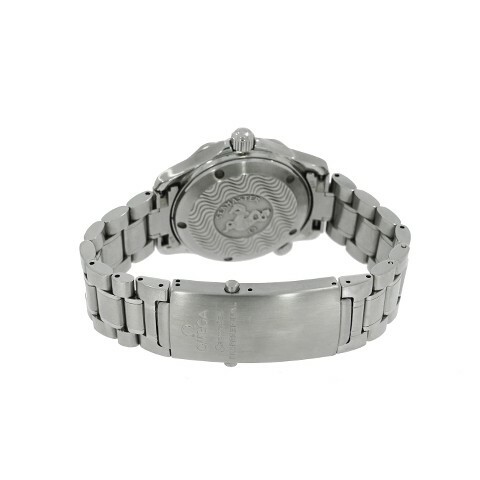 The watch shows signs of wear with light scratches on the bracelet. 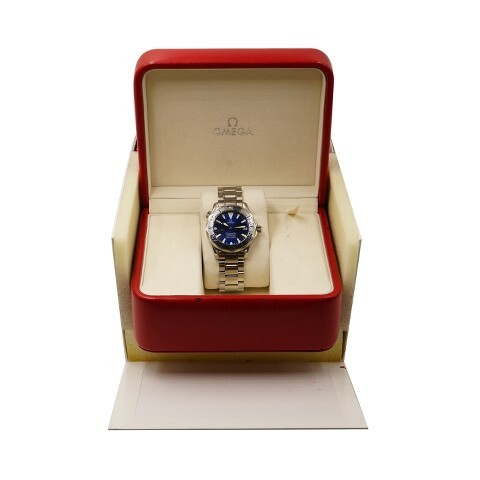 This watch has box and papers dated 12/15/2004.